NETTS Cadets went into Day 1 of the National Cadet League Eastern Region at Stowupland with two debutants, so were looking to gain valuable competitive experience for future rounds. The debutants James Rissen (aged 12) and Charlie Lunn (aged 13), both pupils of Honeywood School, surpassed expectations however with good back-up from teamate JJ Calisin (aged 10) of Earls Colne Primary School. NETTS secured victories over Brittania Ipswich “D” 5-1, Chesterton 4-2, Wensum “C” 6-0 and CR Alliance 4-2. Rissen of Coggeshall execelled himself by remaining undefeated with 8 wins out of 8. Teammate Lunn was just behind in the averages with only one defeat to his name. Calisin’s 4 wins also showed a marked improvement from the previous season. The Earls Colne Recreation Club based team will now move up from Divison 3 and are looking forward to the challenge. The next round of matches takes place on Sunday 8th December. 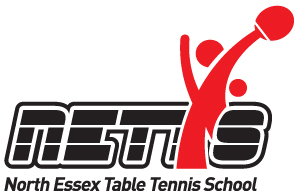 ‹ County Table Tennis at NETTS!